As well as my oil paintings, I am currently developing a series of artworks for baby’s nursery and children’s bedrooms. I am painting these works on acrylic instead of my usual oils. Acrylic has an immediacy which I am finding wonderful! In my last blog I featured my daughter Alice’s 2 oil paintings, (see below). Well there’s another painting in my Alice’s room now, I completed it the day before her 5th birthday party. 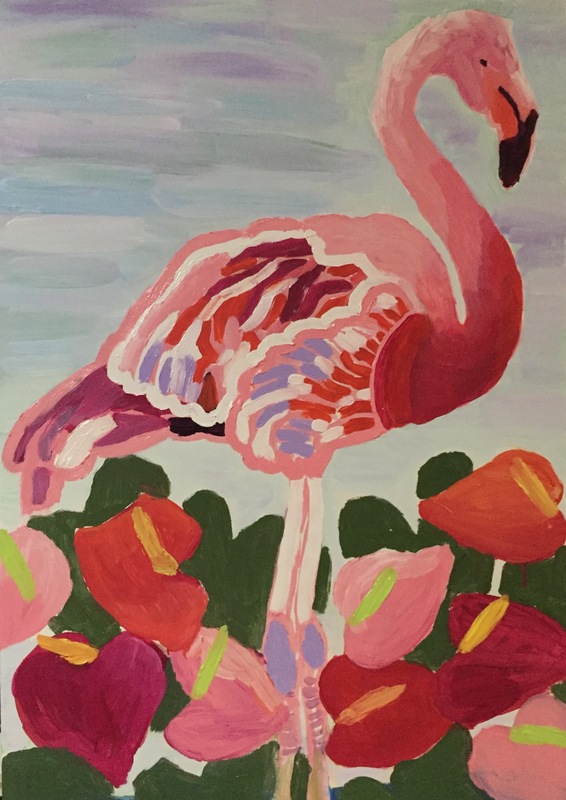 I painted it in acrylic, as it needed to dry in time for the party game “Pin the Tail Feather on the Flamingo“. It was a hit! 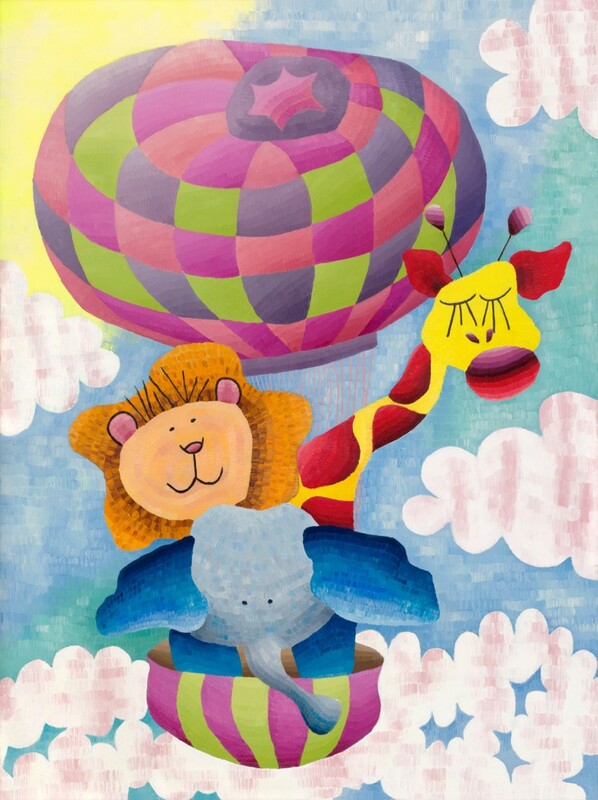 Alice’s Hot Air Balloon, oil on canvas, Elisabeth Howlett, 2010. Babushka Doll, oil on canvas board, Elisabeth Howlett, 2015. 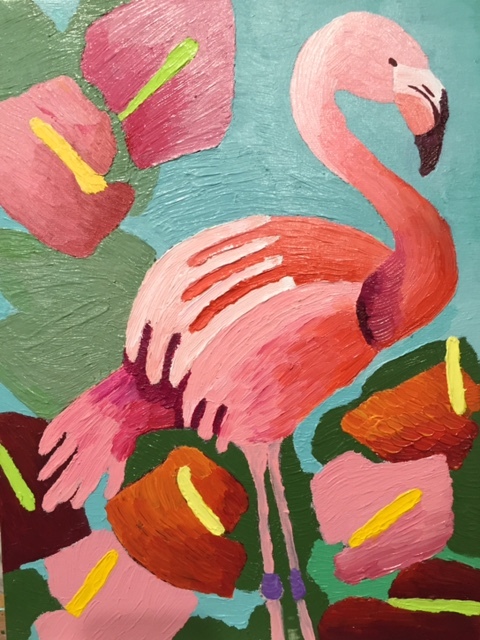 I have re-done Alice’s birthday flamingo on a smaller rectangle canvas see below, and another on a square canvas, with the same flowers, anthurium, which coincidentally are own as Flamingo flowers. 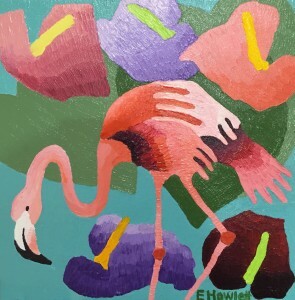 There’s more coming, Flamingo Fever Series will feature Flamingo’s with 5 different south American tropical flowers. So now I have got a move on with paintings for my son Sam’s room. He’s nearly 3 and loves cars, trucks, trains, fire engines, yes you get it, vehicles. 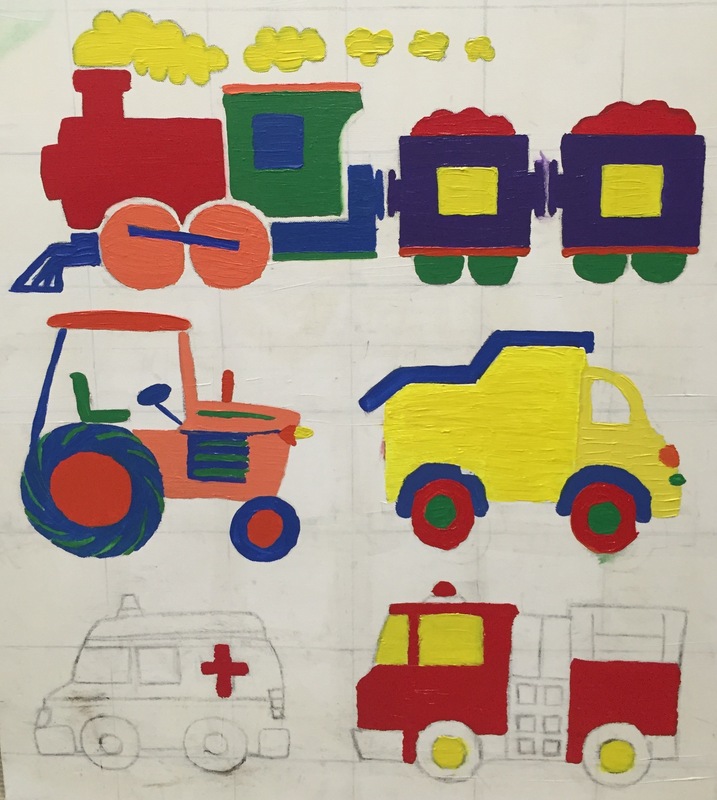 Sam is loving seeing his painting develop, colour being added to the car, train, truck, and I think he will love having it in his room. 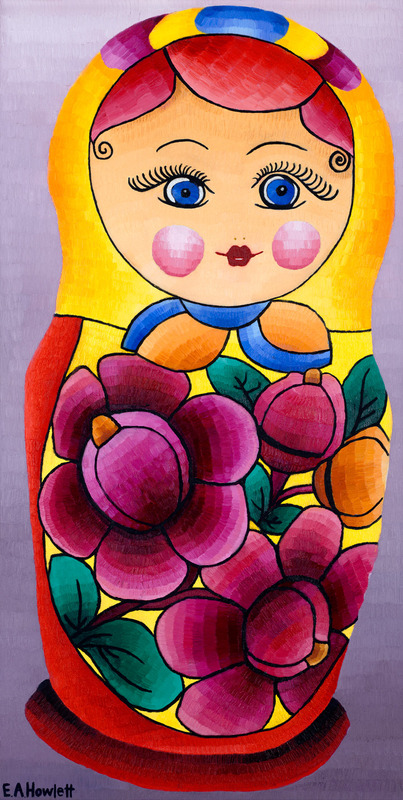 Actually, I think the children are not the only ones who will want a print of these paintings. And of course the original acrylic painting will be for sale. 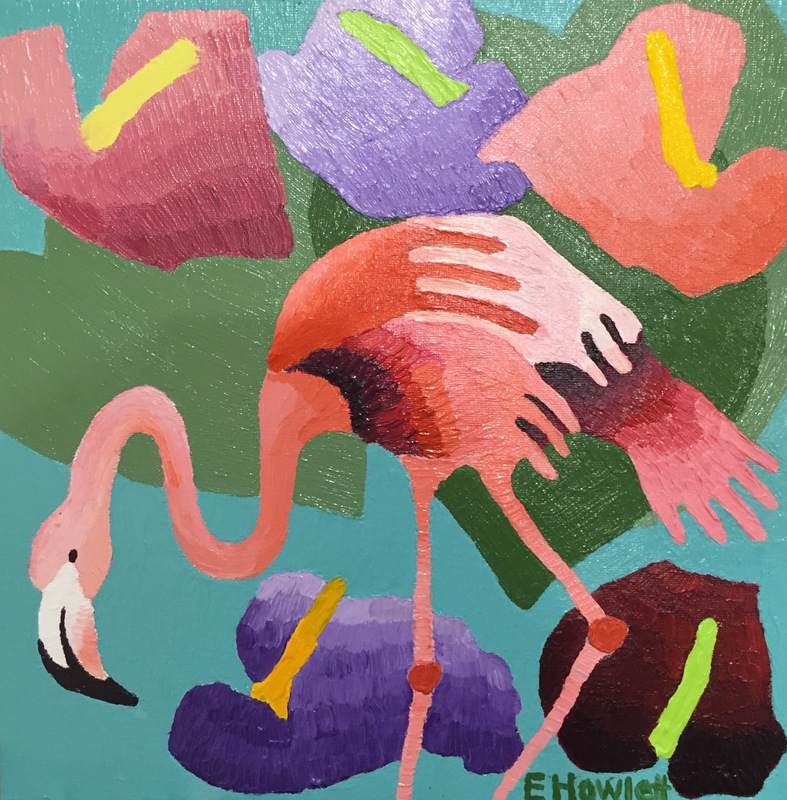 So stay tuned for more flamingos!! Sam’s Soldier, work in progress. Previous Previous post: What is a giclee print?